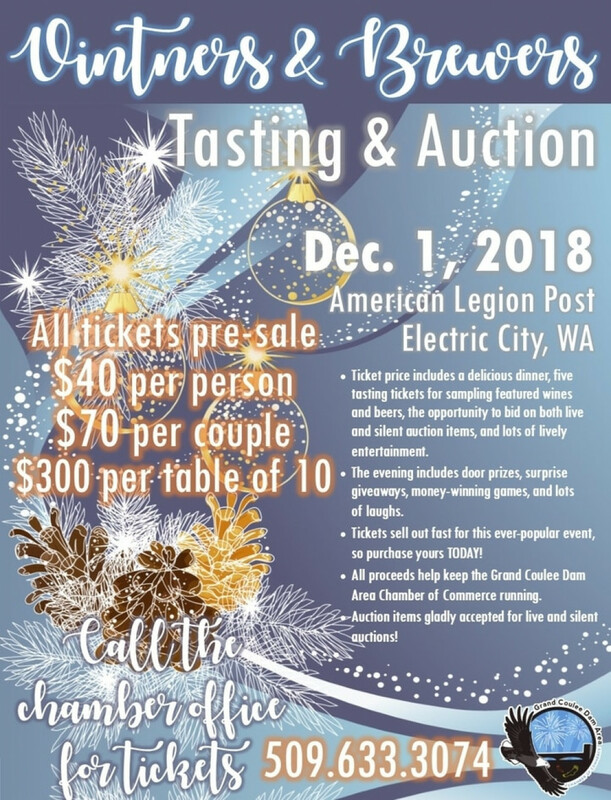 The Grand Coulee Dam Area Chamber of Commerce cordially invites you to our annual fundraising Vintners and Brewers Auction. 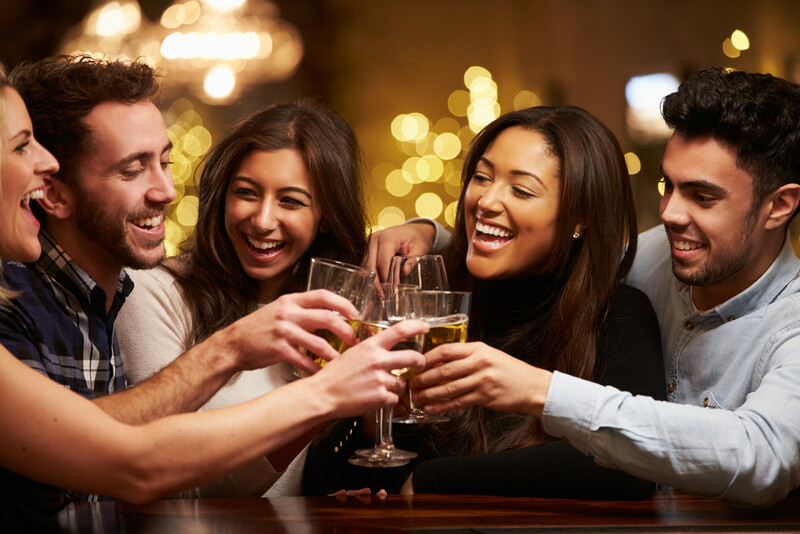 Our event kicks off the holiday season and will showcase wines and beers for tasting. A full meal will be catered. The evening begins with a silent auction, door prizes, raffles, and games. The premier event of the evening is the live auction, featuring lodging and vacation packages, sports memorabilia, specialty food and wine offerings, gift certificates to a variety of entertainment and sporting events, and so much more. Tickets for the event can be purchased at the Chamber of Commerce office. Tickets prices are as follows: $300 for a table of 10, $70 for a couple, and $40 for an individual. Those with business tables are encouraged to donate a personally-created centerpiece for their table which will be auctioned off during the evening. Each ticket entitles one guest admission into the event, dinner, entry into drawings and raffles throughout the evening, and a bidding number to bid on silent and live auction items, as well as 5 wine, beer, or non-alcoholic-beverage sampling tickets. Please join us for an evening of good food, good wines and beers, and good fellowship with your friends and neighbors. We thank you for making a difference with your time and your donations. If you have any questions or would like further information, please call the Chamber office at 509.633.3074.